I'm the founder of The Influential Woman, and I'm thrilled you're here. You were chosen for a purpose and we want to help you reconnect with your identity, realign with your purpose and unleash (or maximise) your potential. When you "wake up" (or find) your voice and embrace your gift, this will position you move toward what you were born to do, leading to a more fulfilled and happy life. "You may only be ONE woman, but you can influence your world." Trish has been an incredible mentor, coach and guide on a personal and business level as well. Trish is the kind of woman that not only shares hope, encouragement and sound business advice, she lives it! Want to BE YOU And Maximise Your Potential? Complete the form below and let me know where to send the workbook. It will be in your inbox in a matter of minutes. 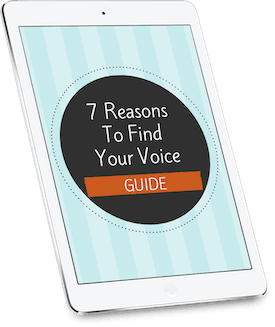 AND RECEIVE THE FREE PDF GUIDE "7 REASONS TO FIND YOUR VOICE"